Hey everyone! 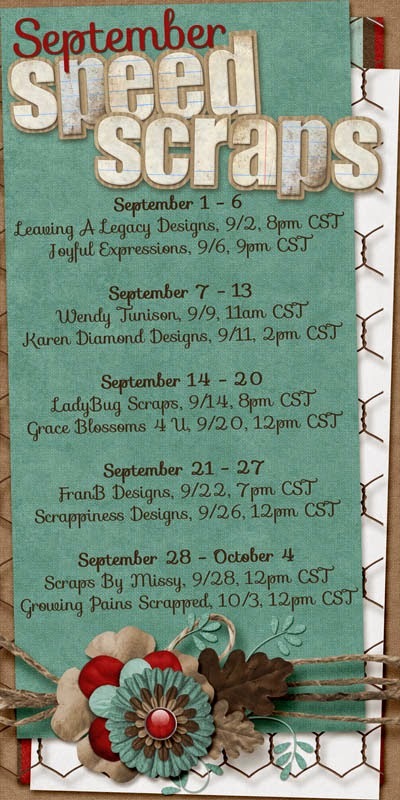 I’m joining the Scraps N Pieces Blog Train this month with some fun glitters. Make sure to hit up all the stops for some great pieces! 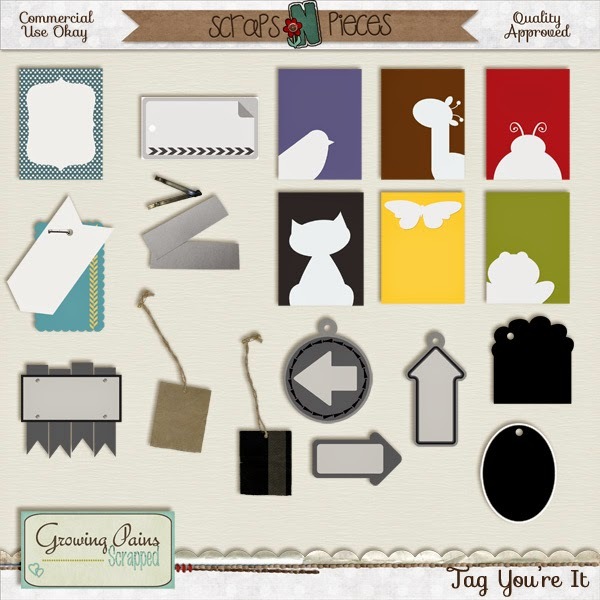 Scrap the Halls is a new collection of templates releasing this week by Meagan’s Creations. 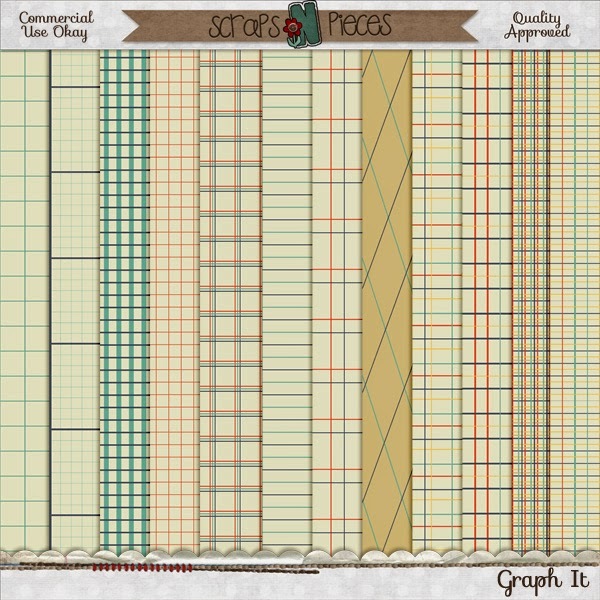 Get into the Christmas Spirit with your scrapping with these awesome templates. They are each on sale for 30% off from December 11th to 14th, 2014. Buy both of them together and save 40% instead of 30%. Are you ready to see who this weeks lucky winner is? 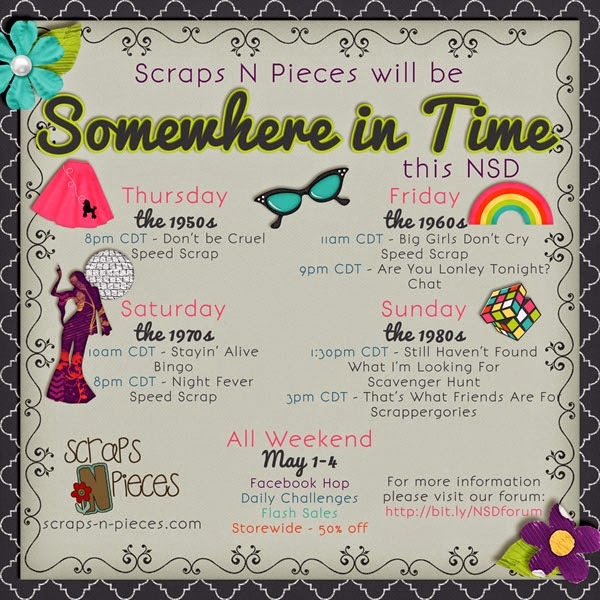 It’s time for a new Blog train at Scraps N Pieces. I hope you enjoy the Spooky Glitters that I made for you! Hey everyone! I’m so excited for October. Lots of great things (if you can ignore the allergies / sinuses) come this time of the year – leaves changing colors, fall smells, cooler weather, apple cider, and lots of other things. 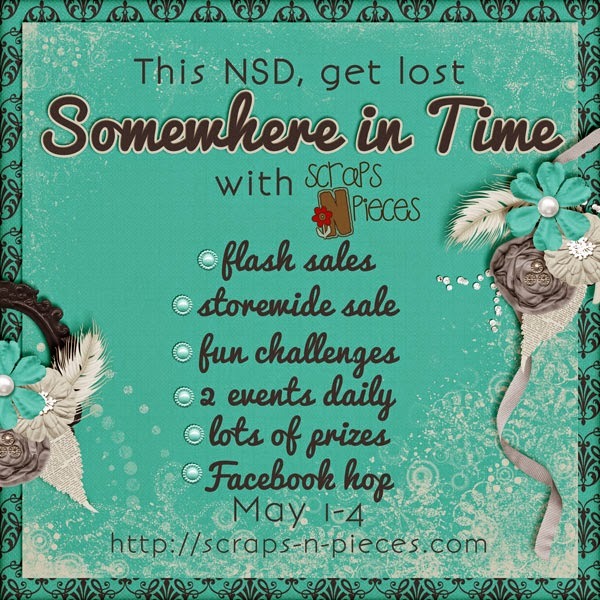 To celebrate, I joined in on the October Bits N Pieces at Scraps N Pieces. The color palette was just beautiful and so I knew I had to get on board. My collection is called Falling with You. A fun combination of cute love and beautiful fall. Check out the previews and remember that all Bits N Pieces parts are only $1 each for the first week! Woot! And here’s a little inspiration for you! Didn’t my Creative Team totally rock this set?! Depending on where you live, you might be feeling the full effects of autumn – crisp in the air, color in the leaves, bonfires, football, and pumpkin-flavored everything. 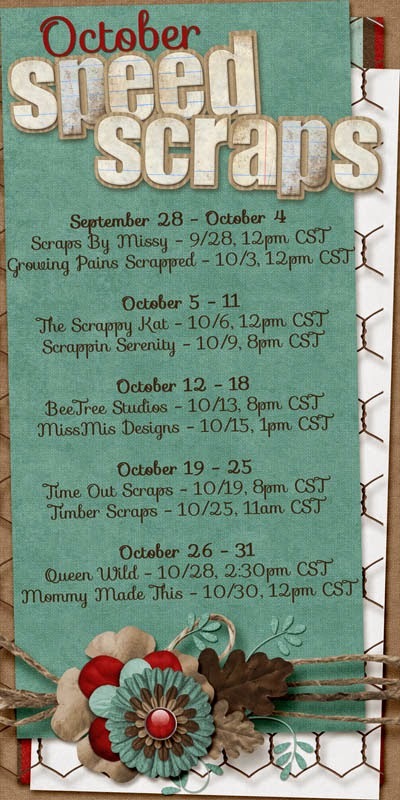 October is a great month to experience digital scrapbooking at Scraps N Pieces. In just 16 days, the annual SNP Retreat will kick off a 2-day event in Salt Lake City that includes laughter, food, laughter, more food, oh…and maybe some scrappin’. If you couldn’t make it this year, be sure to plan on coming next year…we’d LOVE to see you! And don’t worry about feeling left out, we always take care of those who couldn’t make it…just wait & see. 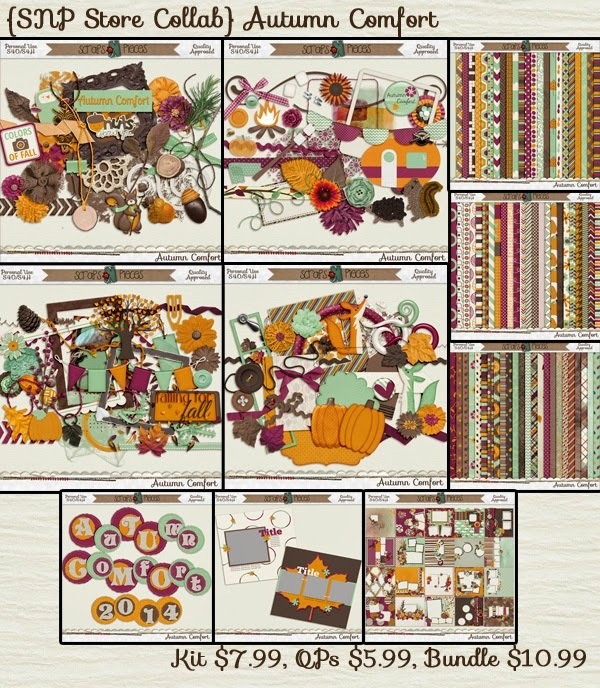 First up is our wonderfully beautiful store collab kit called Autumn Comfort. Aren’t these colors UH-mazing?! 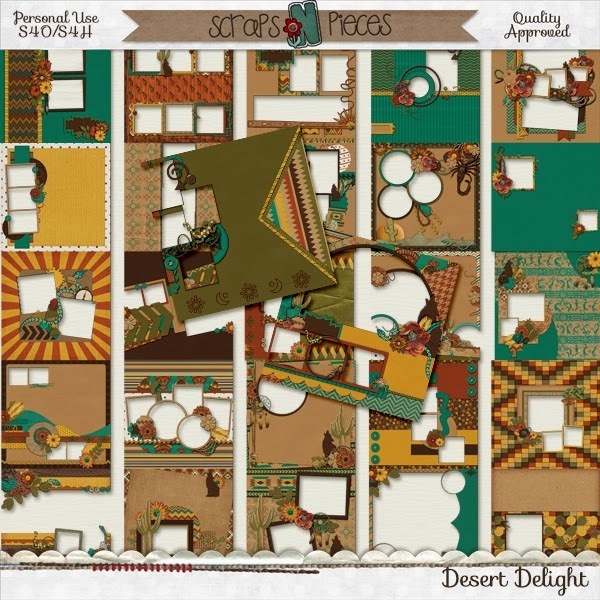 Also amazing, are the selections available in this month’s Bits N Pieces. Remember each piece is just $1 through October 7. 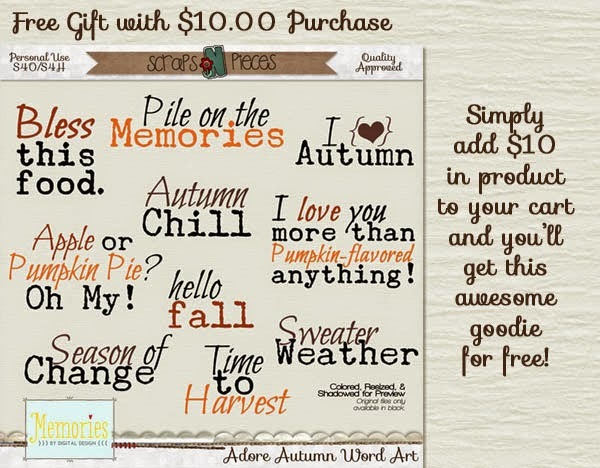 Through October 15, for every $10 you spend in the store, you get the Adore Autumn word art pack for free! Have you been eying some of the designers’ older kits? 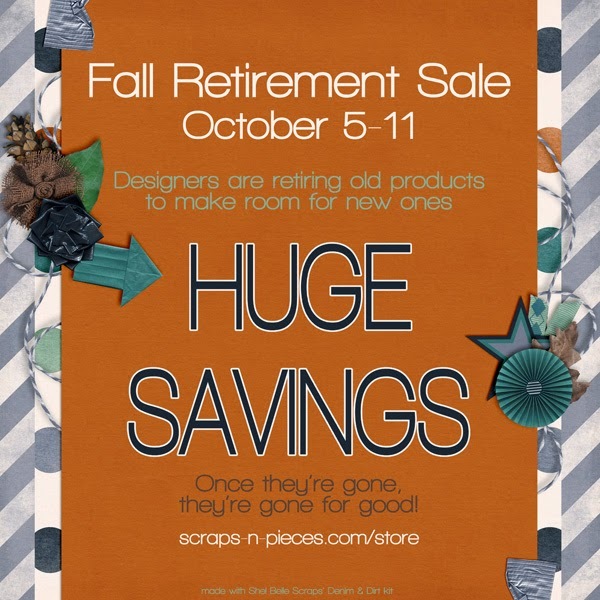 They might be retiring soon, so be sure to stop by the store during our Retirement Sale. Get it before it’s gone! If you have some free time, stop by the forum or store Facebook chat app, during one or all of our store speed scraps. Set reminders using the forum calendar so you don’t miss one! I’m so excited to share these new templates with you. I took some of my very favorite layouts and converted them to templates to share with you! This classic style of templates features layout with prominent focal points with just a hint of fun on the top to balance everything out – like a cherry on the top of a sundae. You’ll be scrapping in next to no time with these fun templates based off of some of my most favorite layouts in this style. Included are the tiff files as well as psd and page files and png layers for use in many programs. These templates are for personal use, commercial use, and are ct friendly. For most of us here in the States and Canada, September usually marks the beginning of cooler weather, the return of school, and making memories with falling leaves, apple cider, and football. Wherever you live, we hope you share those memories with us at Scraps N Pieces. “S is for School” is our newest store collab, and the designers have outdone themselves…again! The awesome colors, elements, tags, and fun papers will make your school scrapbooks complete. Don’t forget if you create a layout using the collab kit, post it to the Collab challenge and earn some forum points! Grab the kit, just the quickpages, or the bundle of both! Image is linked to the kit in the store. The first of the month means a new set of awesome Bits N Pieces products, and we promise our designers do not disappoint this month. This month’s theme is all about learning and knowledge, and the variety in the products is just amazing! Don’t forget if you create a layout using any of the September BnP products, post it to the September BnP challenge and earn some forum points! Grab each of these for just $1 during the first week of release (after that they go back to full price). The image is linked to the BnP category in the store. All you current and future designers definitely need to grab the new September CU grab bag, especially for any fun school-themed kits. Grab Graph It at 30% off! Hopefully after the school routines are set and between all the activities of September, you can find a few hours to hang out at a Speed Scrap. Check out the schedule below. Be sure to check the forum for the place – could be in the forum chatroom or on our store Fb page. One of our favorite months of the year, May is here!! We have so much to show you, so much going on…so let’s get to it. 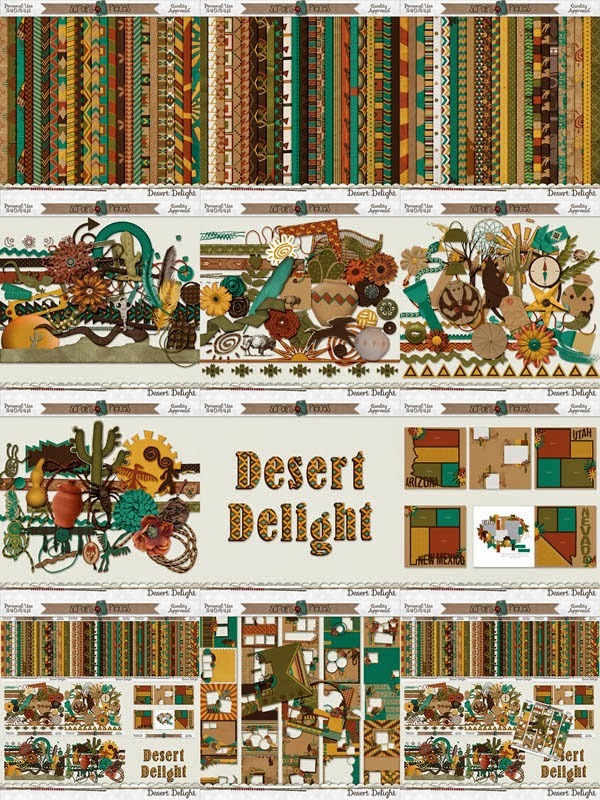 Take a trip to the southwest part of the United States with our May designer collab kit called Desert Delight. Image is linked to the kit in store. You can snag just the quickpages. Image is linked. Or grab the entire bundle – kit & quickpages. Image is linked. Be sure to tag along with our newest CU Grab Bag called Tag, You’re It! A new month means new beautiful palette of Bits N Pieces colors. This month, in honor of Mother’s Day, we are focusing on the girls and women in our lives. And here are the beauties that will be in the store at $1 each for the first week. Be sure to use these to complete a layout and earn forum points in the Bits N Pieces monthly challenge. May means National Scrapbook Day weekend, and boy o’ boy…we have plans to take you back in time! Images are linked to the events area of the SNP forum. God bless and happy scrapping! I’m really excited to be sharing the April Blog Train with you from Scraps N Pieces. This is the first thing I’ve hosted on my new blog (pardon the dust, I know it needs a little work), so I so glad that you’re here! I made a set of glitters for this month’s blog train. Just click the preview to download. Manda Lane Scraps <– You are here!